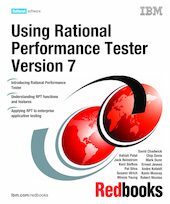 This IBM® Redbooks® publication is intended to show customers how Rational processes and products support and enable effective systems testing. The book describes how performance testing fits into the overall process of building enterprise information systems. We discuss the value of performance testing and its benefits in ensuring the availability, robustness, and responsiveness of your information systems that fill critical roles for your enterprise. Based on years of project experience, we describe the key requirements needed in performance testing tools and how the IBM Rational Performance Tester tool was developed to meet those requirements. We also walk through the choices that we made to steer the tool architecture into using an open source platform as its base with Java as its language to permit ubiquitous platform support.